Sedgefield Accommodation can be search using the search filter or down..
Sedgefield Accommodation can be search using the search filter or download the Garden Route And Klein Karoo App to find Sedgefield Accommodation confidentially in the palm of your hand direct on your smart device. This is the perfect holiday house (8 sleeper) to spend a relaxed carefree holiday. Overlooking a bird sanctuary and in a secure complex this modern holiday house is centrally situated in the village – walking distance to the shops, restaurants, the lagoon and a few minutes drive to a choice of beautiful beaches. THE HOUSE – This spacious holiday home is an A-frame, with open plan living areas, modern granite kitchen, lounge, dining room & bar. It is fully furnished & equipped to accommodate 8 people comfortably. Bath sheets & hand towels are provided per guest. Each bed is made up with luxurious white percale linen. Pool & Beach towels are provided for use around the pool & at the beach. ACCOMMODATION – Beach you to it provides four large bedrooms. Three are situated in the main house upstairs. The main bedroom has a queen sized bed & the other two bedrooms have two single beds each. The three bedrooms share two bathroom, one has a bath and the other has a shower. There is a further separate downstairs en-suite guest room. This is ideal for the elderly that cannot take the stairs, for a couple that wants to be separate from the rest of the party or if you have a nanny traveling with you, which also has 2 single beds. We are nestled at the foot of the Outeniqua mountains and are a couple of hundred metres from the Knysna State Forest (home to elephants, wild cats including leopard and a lot more flora and fauna). We are 25 kms from Sedgefield and halfway between George and Knysna. For sightseeing and activities, the entire stretch between Mosselbay and Plettenburg bay is in easy travelling distance for day trips. The apartment is a spacious (100sqm) flat situated on top of the barn. It has the best view in the entire suburb of the forest and mountains. The sunrise and star gazing is unbeatable from the deck which has patio furniture to seat 6. Crane Walk Corner offers you a private, luxury upstairs studio with a view of Sedgefield Lagoon that sleeps two people. The apartment has a Queen size bed and walk-in dressing room provides plenty of space for personal belongings. There’s a full bathroom (bath and shower) with under-floor heating for the winter chill. There are two wall heaters in the open areas. There’s a fully equipped kitchen which includes microwave oven, fridge/freezer, washing machine/tumble drier (combo), hob and under counter oven. A full size grocery cupboard allows you to store all the provisions you may need. Dover on Sea Beachfront Bed & Breakfast is a guesthouse situated in the beautiful South African town of Sedgefield, midway between Knysna and Wilderness, a mere 40 minute drive from George Airport.Dover on Sea is a Bed & Breakfast facility whose unique architecture, luxury and comfort, combined with our sea views and hospitality will help make your experience of Sedgefield a memorable one from the first moment.Your hosts Jurgens and Karen provide a personal touch to make your stay extra-special; breakfast can be enjoyed either indoors or on the patio as guests drink in beautiful views over the ocean. Each of the en-suite rooms has their own private entrance which is a mere few meters from where your vehicle will be parked.The large communal dining area is adjoined to a cozy lounge (with fireplace) where guests can watch DSTV, read or simply relax with a “cuppa” from the facility provided. A sumptuous full English breakfast is served each morning which is guaranteed to satisfy even the fussiest tastes. Where possible special dietary needs will be catered for. For your convenience, your hosts Ken and Jenny stay in a cottage on the premises and will ensure that your stay is enjoyable and will endeavor to meet your every need. 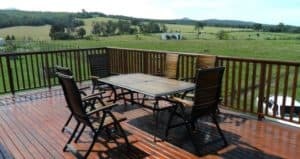 Kalanderkloof Cottage is a getaway off the beaten track located in the spectacular Garden Route of South Africa just inland from the Town of Sedgefield. This upmarket secluded self-catering and truly off the grid cottage with modern amenities is set on a 108 ha farm bounded by pine plantations, natural forest and the Karatara River. The cottage provides the perfect spot for just taking it easy with only the chatter of birds and the occasional fish eagle calling to keep you company. The abundant bird life and flora can be enjoyed especially by walking on trails down to the river or into the Soutkloof and Kalanderkloof as well as on warm-up mountain bike circular routes. 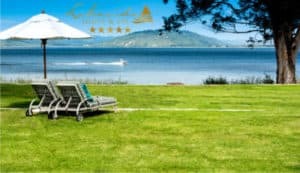 A peaceful well shaded resort situated halfway between Wilderness and Knysna on the shores of the Garden Routes only freshwater-lake Groenvlei. Groenvlei is a part of the Goukamma Nature Reserve and also part of the Knysna & Wilderness National Lakes Area & Garden Route National Park, the Goukamma Nature Reserve, on the Resorts eastern boundary, is over 2500 hectares or 50 square kms in extent. Lake Pleasant has been managed and owned by the same family since 1962 and boasts the only camping resort along a bass fishing Lake in the Southern Cape. 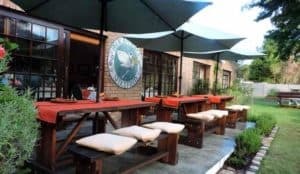 The Resort has a Squash Court as well as a Restaurant, Pub, Convenience Store, Take-Away, Bass Shop, Tennis Court, Mountain Bikes for hire, two Swimming Pools and safe swimming at the Resort’s Lake Beach at Groenvlei. 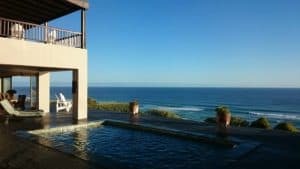 Treat yourself to a getaway in the Garden Route of the Southern Cape and experience the beauty, tranquility and excitement that this very unique area has to offer. As part of the Gauche’ Family portfolio of places we offer you Myoli Beach Lodge on the main beach in Sedgefield. This warm, exquisite, African styled self catering Beach Lodge has 10 chalets and is nestled midway between Knysna and Wilderness. Our African styled Beach Lodge is nestled midway between Knysna and Wilderness in the centre of the Garden Route of the Southern Cape. 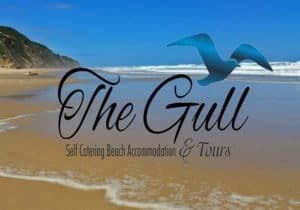 The Lodge is walking distance of less than 3km from the well known Gericke’s Point with its stunning tidal pools and we are a mere 60 meters from Sedgefield’s main beach stretching for 14 km to Goukamma National Park. 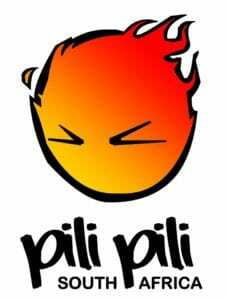 For your convenience Pili Pili Beach Bar & Restaurant is located 300m down the road. Located in one of the most beautiful spots in The Garden Route National Reserve, surrounded by beauty, in a valley of water and light, lies Pine Lake Marina family resort. 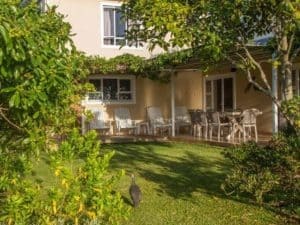 Situated on the shores of the sparkling Swartvlei Lake outside Sedgefield, this Garden Route retreat offers the ultimate holiday experience in tranquil, safe surroundings. Here is a place where your conversation is interrupted by the sound of a Fish Eagle calling his mate. A place where your view is obstructed by a mountain range, and the traffic is delayed by foraging guinea fowl. 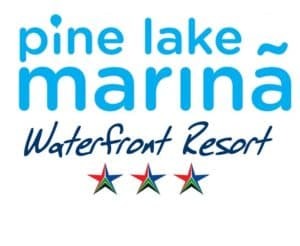 Pine Lake Marina is the ideal family holiday destination. Practical self-catering accommodation, extensive facilities and diverse activities will keep young and old entertained. Our Resort facilities include pedallos, water skiing, tubing, 5 swimming pools, 1 heated pool, putt putt, tennis, squash, games room, canoeing, jacuzzis, Pine Vibe Gym, Pine Express Convenience Shop, Pine Vibe Sports Bar and Restaurant and much more! Swartvlei Caravan Park is situated in the picturesque seaside resort close to Sedgefield. The town of Sedgefield is centrally located in the Garden Route only 20km from Knysna and 41km from George. This makes Swartvlei the ideal base to explore the area from.